What a day, pricey but worth it I think. On kijiji, I found a 15" jbl for a good price, and managed to work out a deal with the previous owner. I've been wanting a 15" since working on my next bass vi, and the opportunity seemed right to mothball this speaker for a future project. As I was about to leave my house, I checked kijiji again and found a 2x10 for sale as well. I called the guy, and he didn't want to part it from a head he had, but he seemed like a lonely older guy so I chatted with him on the drive out to the jbl. Turns out he is selling everything, going through a divorce and was generally miserable about life. Half way to the jbl, he tells me he will sell the cab if I drop by to get it that day. After I get the speaker, I head to the other guys house, and it turns out the guy is an old cabinet maker. Not only does he have a 2x10 but he also has a 1x15 with a jbl! I chat with him for a while, and we work out a deal on both cabs (mint) with covers. 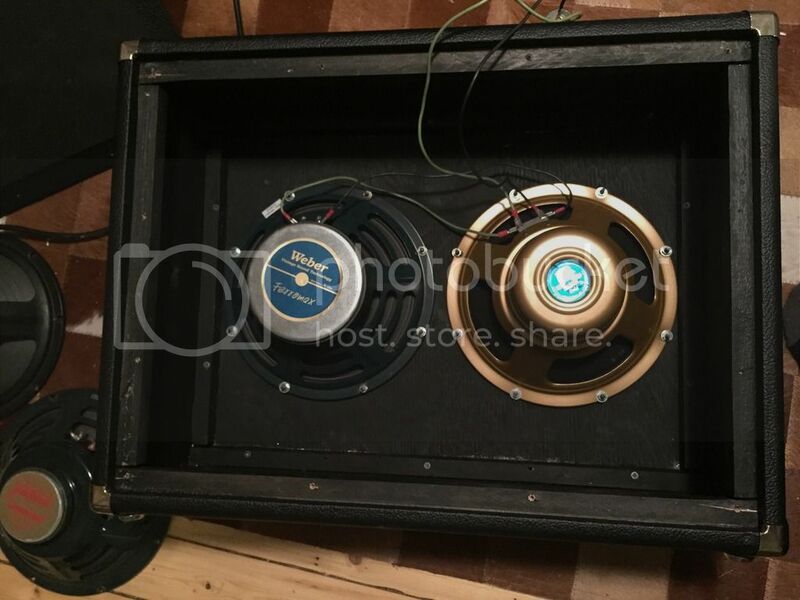 Here is the score, I have a Weber f150 and Celestion gold I can swap into the 2x10, thoughts on the current speakers? Swapperoo, the 15 sounds great with the bass vi, and i put the extra jbl back on kijiji for what I listed it at, pass on the good deals and all that. Nice looking cabs. 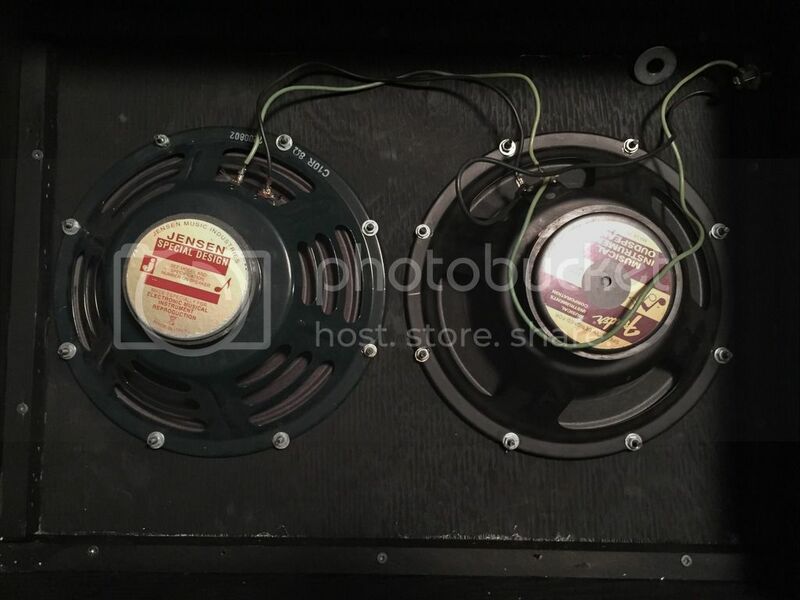 I'm debating whether to go with a combo or a head for my dream amp, but if I went with a head, I'd certainly be on the lookout for these. Haha, fair point. 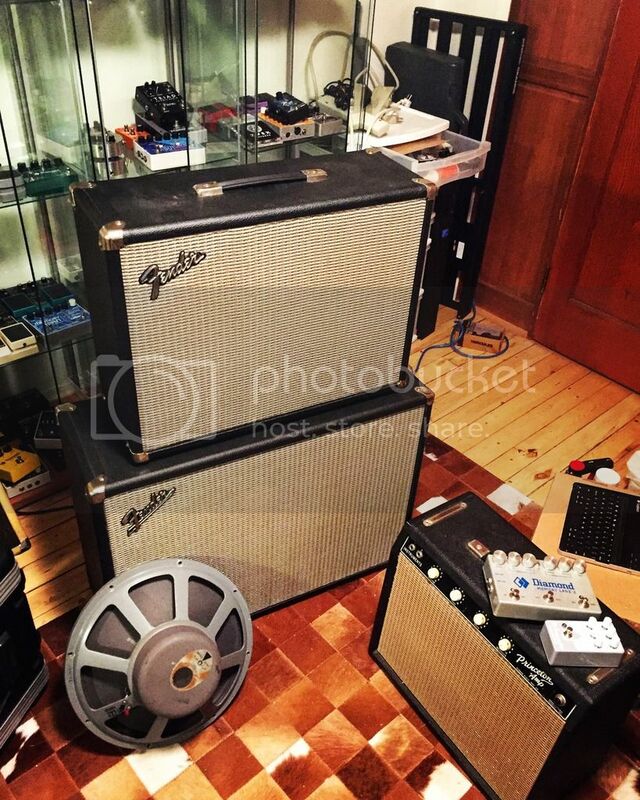 I just know that I'm never going back to a 4x12 cab again... though, I'm probably not playing out any time soon. The odd time I've gigged mine it's been a toss-up whether I'd do my back in, and I did buy a sack barrow to move it around once out of the car. And mine is a solid state HH. Best have a vehicle with a flat floor for loading!